Going back through my little booklet of books read, I found my favorite titles from the past year. I won’t break them up into various genres, but will list them by month and a short blurb about each. I read 10 books that month, 3 homeschool related and 7 fiction. 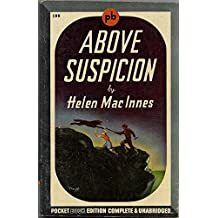 My favorite book for January (and the whole year, for that matter) was hands down, Above Suspicion by Helen MacInnes. I don’t know if it was because of the war, or the way books were written in those days, but the suspense and the plot were well written and I enjoyed this book very much. You can read my January wrap up here. This month I read 6 books; 1 homeschool related, 1 writing related, and 4 fiction. I read two more books by Helen MacInnes and one by Gregg Hurwitz, called Orphan X. 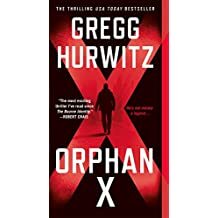 This was my favorite book for this month, as the character known as Orphan X is mysterious, with no family and he has ultra modern technology available and helps those who know how to contact him. I’m looking forward to the next one in the series, coming out this month. February’s wrap up is here. This month I read 7 books, one related to homeschooling, one related to writing/publicity and the rest fiction. 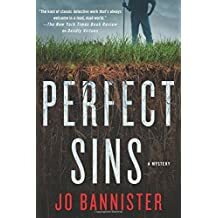 I discovered a new author, Jo Bannister, who wrote Perfect Sins. I am now reading through her series. I only read 5 books in April, two business related, and three fiction. (It always takes me longer to read nonfiction and think/process what I’m reading). 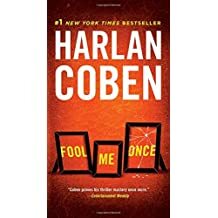 My favorite title from this month was Harlan Coben’s Fool Me Once. In May we can begin reading books for the summer reading program at the library, so one book was for that, and I read two business related and the rest were fiction. 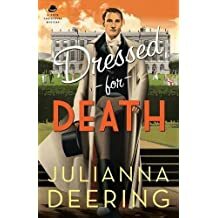 My favorite from May was Dressed for Death by Julianna Deering. I love this series from the ’30s set in England. I read seven books total in May. I read ten books in June, all fiction. For the summer reading program, I reread a book from high school days, A Separate Peace by John Knowles. I still don’t like this book as it leaves me depressed. I don’t like to be depressed when finishing a book. I like to be either satisfied, encouraged, or inspired. Definitely not depressed. 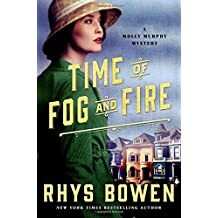 My favorite from this month is Time of Fog And Fire by Rhys Bowen. I love all the books in this series and her main character Molly is a delight. This concludes my first half of my favorite reads of 2016. Later this week, I’ll share the second half of my favorites. Do you have any favorites you read last year?